Did I just hear a wishful Sigh!! Whether an early bird or a late sleeper what everyone wants after a hard day’s work is to get a good peaceful night’s sleep the moment the head hits the pillow. Tossing and turning on the bed desperately trying to sleep, when the whole world is blissfully snoring can be really frustrating. While it is tempting to pop a sleeping pill, we don’t realize that nature has blessed us with foods which help us sleep better and longer. Rosemary is one such aromatic herb which is a natural sleeping remedy for insomnia. Besides helping with insomnia it is known for its analgesic, antiseptic, antidepressant, anti-inflammatory, expectorant, antiviral, aphrodisiac and disinfectant properties.Rosemary also has soothing effects by working against muscle soreness,anxiety,fatigue, sadness, stomach problems and also indigestion caused by stress. Besides flavoring the food, rosemary is also used in aromatherapy for a restful sleep. However pregnant women are strictly warned against consuming rosemary. Now that we know all this why not add a sprig or two of this wonder herb in our daily cooking. 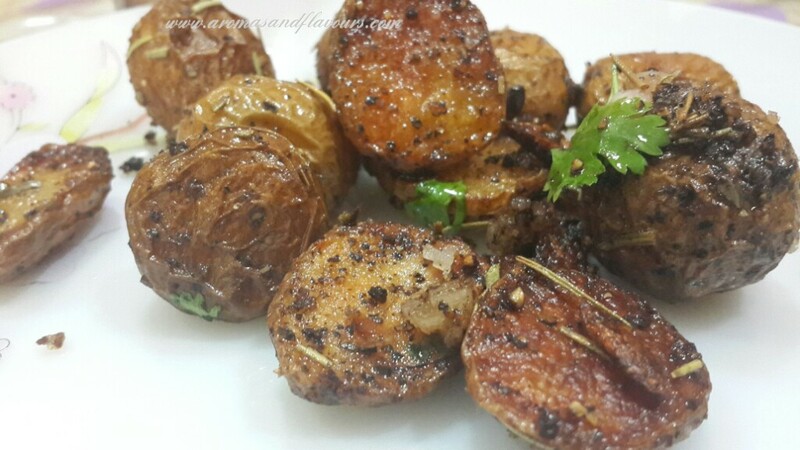 Roasted baby potatoes with rosemary and garlic is one deliciously easy dish made in the oven. 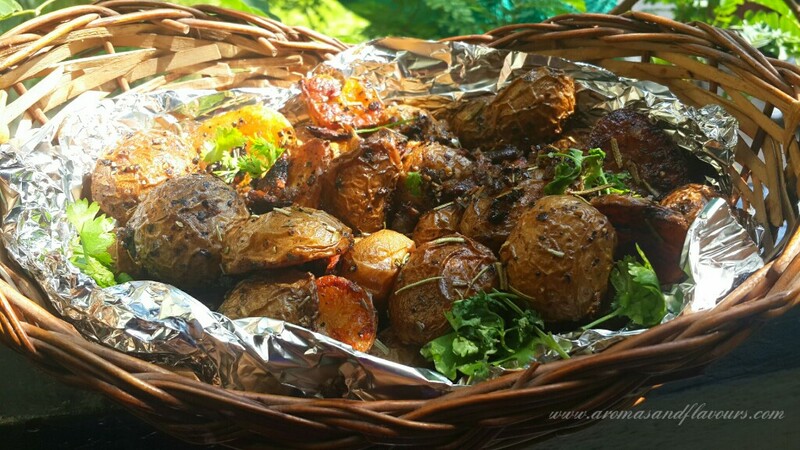 The potatoes are roasted with their jackets on, which make them crunchy as you bite and succulent inside. The rosemary makes the dish aromatic and the olive oil and garlic make it flavorful. I like to toss in whole peeled cloves of garlic,because they become crisp when roasted and I just love them like that. However,you can use minced garlic if you like. Rosemary can be used fresh or dried,subject to availability. Wash and clean the potatoes. You can halve the potatoes which look bigger. But leave the jackets on. Toss all the other ingredients in a bowl and mix. Now put the potatoes in the bowl and toss well. Transfer them to a roasting tray and roast for 45 minutes to an hour until crisp and tender. Toss twice or thrice during the roasting process. Cherries,Oatmeal,Honey,Almonds,Bananas,Sweet potatoes and potatoes,Hummus,Tuna/halibut, Green tea, Jasmine rice,warm milk, Miso soup. Click here for the Top 10 Benefits of Turmeric that you probably don’t know about! Even I learnt about the amazing benefits of Rosemary recently. I also learnt about other sleep inducing foods which I listed at the end of the post. Hope they help. Yes so true.Turkey is one heart warming feel good food. Since I am make, I can eat all the rosemary I wish to, right? I’ve always seen these potato dishes and now I know! Haha 😀 Sure you can try this dish and rosemary as well. Great opening for a wonderful health tip and recipe! Excellent writing. 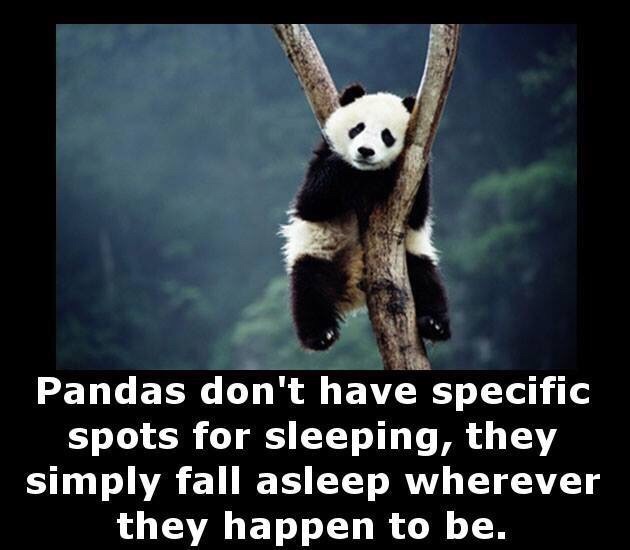 I must be a panda bear. 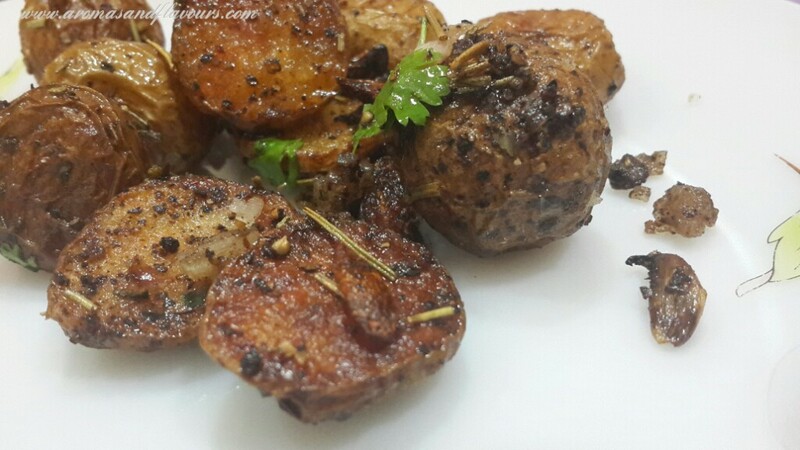 New potatoes, rosemary, and garlic are a perfect combination. Good god this looks incredible!! Isn’t that amazing! I was surprised to learn about the amazing benefits of this wonder herb. I always believe that what God provides us through nature always has some benefits or the other . Thank you Shehanne ☺ They turned out delicious. Lovely dish! 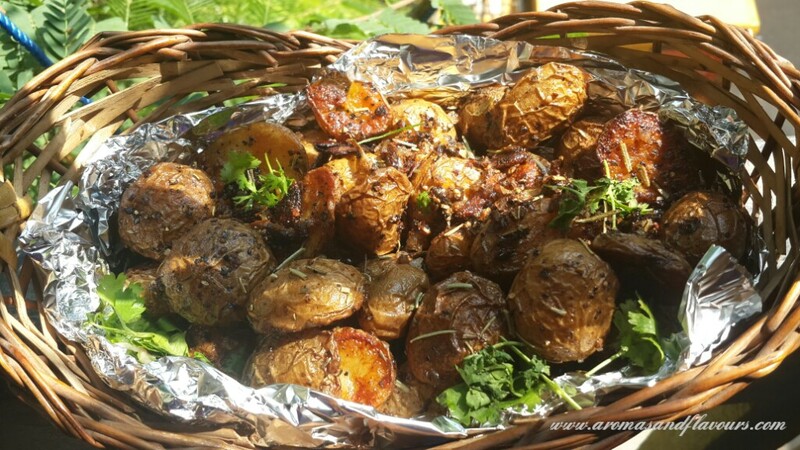 The potatoes look perfectly cooked and I bet are amazing with the rosemary. I had no idea rosemary is good for insomnia. That is good to know! Thank you. They turned out delicious. I learnt about the benefits of Rosemary recently and thought I had to share it with all my blogger friends. Omg! So perfect! I love baby potatoes..they r the best! Wow, I had no idea rosemary had so many benefits and here I grow it in my backyard, but don’t use it often enough. Thanks for the great recipe and for liking my page so that I can find your wonderful site :). I had no idea about its numerous health benefits too. Not only rosemary I have learnt that most herbs like basil,thyme etc..that we commonly use in our daily cooking have medicinal properties for various ailments. Isn’t that an amazing gift of God! Thank you so much for stopping by and I loved your blog very much too. What a lovely idea! I hope it works well to help you sleep 🙂 Take care! Hi dear, it has been awhile since we last spoke! Gorgeous recipe. I would like to seek your permission to share your recipe and photos in Elegance Mag Online. I would definitely credit it to you. Do let me know what you think. Hi Melinda. Nice to hear from you. Thank you for liking it. You can definitely share the recipe and pictures in the magazine. It will be a pleasure. I have been thinking about your magazine but I didn’t have the address to go read it online. Please do send me the link when you post the recipe so I can share it with my friends.